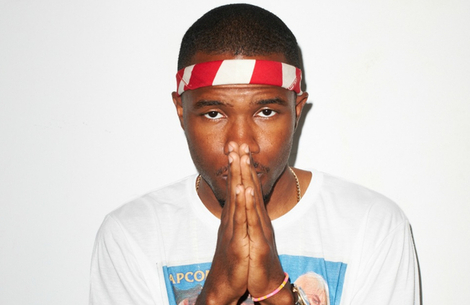 With many citing ‘Channel Orange’ as the album of 2012, Frank Ocean’s headline performance at Brixton was his opportunity to prove himself on the live stage. His debut is an intimate and personal album, however, that doesn’t always translate to a live experience. Ocean excels at brutally honest love songs, like the heartbreaking Thinkin Bout You or Bad Religion, both offering searing depictions of unrequited love. Inevitably, these songs lost some of their emotional impact with the distraction of a crowded teenage hipster audience screaming, swinging and swaying along. Ocean himself was clearly taken aback by the reception of the crowd, who joined him in an impromptu unaccompanied version of Swim Good and chanted every word. Mostly, he sparingly acknowledged the audience, even confessing “I don’t usually do much talking”. Shy, quiet and insular, Ocean is far from a showman and something of an unlikely star, reflected in the simple and subtle staging consisting predominantly of a backdrop of a car driving across a salt flat. With no support act, it proved to be a suitable metaphor for Ocean: alone in his own world, distant and untouchable. What he lacked in charisma, however, he more than made up for in the quality of his music. Supported by a live band including live horns as well as the usual electronics and drum pads, the overall musicianship oozed polish. Song arrangements of Thinkin Bout You and Novocane were beefed up and blasted over the audience with quaking sub-bass and drums, whilst the most successful tracks included Sweet Life, Super Rich Kids and Sierra Leone – those songs which emphasise the funk and jazz elements of the production and suited the party atmosphere of the crowd. There were also new tracks he's "trying out on the road", offering an insight into a possible future album. That said, no track could outshine the epic Pyramids, the second half of which was stirringly atmospheric with its layers of whirling synths and guitars. Most of all, it was (surprisingly) Ocean’s vocal that stood out. As he riffed and played with the melodies, his voice was imbued with soul from a soft rumble to some longing high notes. The line “my god giving me pleasure” from Pink Matter rose achingly with yearning, whilst the aforementioned rendition of Swim Good was totally on point. The most arresting moment, though, came at the very end, with Ocean unexpectedly finishing the gig with Wise Man accompanied solely by piano. Taken from the soundtrack to Tarantino’s Django Unchained, it was unfamiliar to most of the crowd who were stunned into silence. For a few brief moments the audience dissipated, leaving just Ocean and the music. Watch: Ocean plays two dates at Brixton Academy (9th-10th July) and Wireless Festival on 12th July, before continuing his world tour.